As pet stores consider the small animal category, many are finding that it can be hard to keep the dietary requirements of each of the specific animals in line. The problem is that fitting eight to nine types of pets within one aisle is hard enough without having to remember how much protein a rabbit should have versus a hamster. Knowing and understanding small animal food will not only allow you to choose the best products to offer in your store, but will also help you merchandise your small pet section in a way that educates your customers on good, better, and best options. In this article, we'll cover the top five small animal foods and what you should look for as a buyer when stocking these types of foods. When judging the quality of a rabbit food, there are a few considerations you'll want to keep in mind. The problem is that with every small pet food manufacturer, there seems to be a new set of rules for dietary requirements. In order to sway much of the confusion being marketed today, The Rabbit House has conducted research on the most recommended nutrition levels for various rabbit foods. Upon reviewing the guaranteed analysis for various rabbit foods, you'll want to make sure the minimum fiber level is around 18%. For adult rabbit food, the protein amount should be in between 12-14%. However, a young rabbit will need around 16% for growth support. The calcium level should be between 0.5-1% and phosphorus around 0.4-0.8% and the ratio should be 1.5-2:1 calcium to phosphorus. The recommended level of fat should be between 2.4-5% and recommended vitamins include Vitamin D 1000 IU/kg, Vitamin E 50 IU/kg, Vitamin A 10,000 IU/kg. Along with the guaranteed analysis is the list of ingredients that are healthy for rabbits. 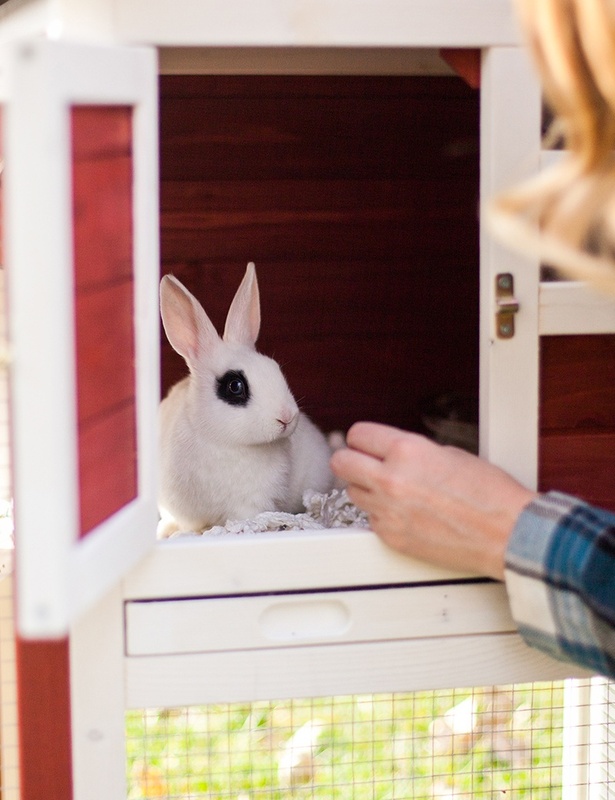 According to The Rabbit House, a high quality rabbit food will list the type of grass (i.e. Timothy, alfalfa, hay, etc.) as the first ingredient - or at least before any grain. In order to merchandise your small animal category in good, better, best sections, we compiled the ingredients you should look out for in each of these categories. These products will include ingredients such as whole maize, locust bean hulls, dried fruits, tomatoes, potatoes, onions, pumpkin seeds, sunflower seeds, niger seeds, peanuts, dates, raisins, and whole soya beans. These foods will also contain added sugars or molasses which can lead to pet obesity. These ingredients are highly controversial within the rabbit community and are often recommended to stay away from. While these foods will be higher quality products than those in the "good" category, they will still likely include the added sugar or molasses. Sugar is often added to many commercial rabbit diets to increase the pellets' palatability. If added sugar is not included, then there may be other smaller amounts of controversial ingredients such as artificial dyes. Extruded (making it highly palatable and the nutrition more digestible). In addition to pellets, customers should be advised that they need to provide enough hay to support at least 80% of their rabbit's diet. Rabbits should also be given fresh vegetables to support their diet. A list of suggested vegetables provided by the House Rabbit Society can be found here. Guinea pigs' diets are very similar to a rabbit's diet with one key difference: guinea pigs cannot produce their own vitamin C like rabbits can. Therefore, the vitamin must be provided in their food. Both guinea pigs and rabbits are herbivores which means they require plenty of grass hay and greens along with their pellets. Similar to rabbits, their teeth are also always growing. Therefore, it's important to consider aspects such as texture and size of pellets in order to allow for maximum wear down. As previously mentioned, vitamin C is crucial to a guinea pig's health. Although many pellets made for guinea pigs are made with vitamin C already added, the vitamin isn't stable when exposed to sunlight or high temperatures and may fade away with time. Therefore, you should advise your customers to feed their cavies plenty of grass hay and dark, leafy greens which are high in vitamin C.
As you read the guaranteed analysis, you should see that there is a minimum fiber level of 20%. The protein amount should be in between 15-16%. The calcium to phosphorous level should be about 1.5:1 (i.e. 14% calcium and 7% phosphorous or 20% calcium and 10% phosphorous). The recommended level of fat should be between 2-4%. As grass hays contain high levels of fiber, they are a great way to meet this dietary need. According to Guinea Pigs Australia, grass hay contains over 35% fiber. It's essential that a guinea pig is provided with high quality hay at all times. Ingredients to avoid in guinea pig pellets include animal products; beet pulp; corn products; seeds, nuts, or oils; rice bran or rice flour and vegetable fiber. You will also want to avoid foods with corn syrup, high fructose corn syrup, sucrose, propylene glycol, propyl gallate, potassium sorbate, sodium nitrate (or socium nitrite or sodium metabisulfate), ethoxyguin and butlyated hydroxyanisole. The good, better, best breakdown for guinea pigs is very similar to rabbit food. Remember that the key difference between the two is the addition of vitamin C for guinea pigs which is essential to their health. Hamsters are growing in popularity among pet owners as they are a fun pet to have, especially for families and those with multiple pets. They have dietary requirements that are similar to rats, mice and gerbils as they are all a part of the rodent family. This particular small pet is primarily a seed eater. However, many nuts and seeds are high in fat and should be fed as a treat. If fed freely along with food, it's likely that pet hamsters will only eat the seeds and avoid the food that is nutritionally balanced. This would cause an imbalance in their diet. Hamster food should contain a minimum of 16% protein and 4-5% fat content. Calcium content should be around 0.8% and phosphorous content should be at 0.6%. Depending on the selective nature of the hamster, diets can either contain multiple different types of pellets, seeds and nuts (as long as they are all eaten equally) or compile completely of a single type of pellet. 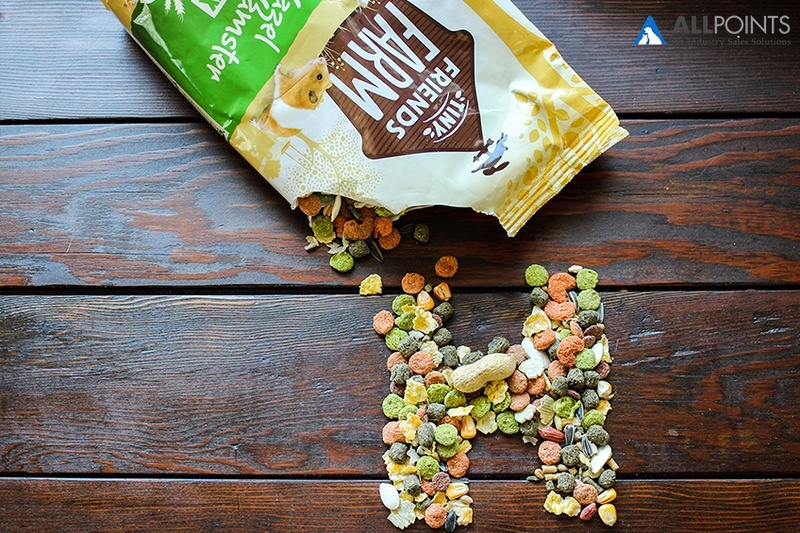 Customers who pick up a bag of hamster food with mixed content (containing nuts, seeds, pellets all in one bag) should keep an eye on their hamster's eating habits. If the hamster is only eating the tasty bits, they may not be fulfilling all of their dietary requirements and your customer should consider switching to a mono-component diet. Similar to the rabbit and guinea pig food, a "good" quality hamster food will include some controversial ingredients. These may include fatty seeds (sunflower or pumpkin), corn, dehydrated fruits, and added sugar or molasses. While these foods need not be avoided altogether - these mixes offer an inexpensive option to hamster owners - it's worth advising caution and providing tips on how to maintain a great diet possibly with supplements. A "better" quality hamster food will contain only one, two, or none of the ingredients mentioned in the "good" category. These hamster foods are generally seed mixes that follow the guaranteed analysis guidelines to ensure hamsters maintain dietary requirements. However, due to possible selective eating in hamsters, some pets may not get all the nutrients they need because they may eat the pieces with high fat and ignore the rest. A "best" quality hamster food will not contain any controversial ingredients, no added sugar or molasses, and be a mono-component diet that ensures hamsters get all nutritional requirements fulfilled at every meal. These may also contain higher amounts of protein, fiber and fat content which boosts nutritional health as well. Chinchillas have a similar diet to rabbits and guinea pigs as they are also herbivores with teeth that are constantly growing. According to rabbit.org, chinchillas "originally came from a dry, cold mountainous area where their diet consisted primarily of tough dry grasses." Therefore, although they may eat a similar diet to rabbits, they don't require as many greens since their natural diet is much drier than a rabbit's. These pets have a very sensitive diet and therefore their food should be considered with a high level of caution. The guaranteed analysis of a high quality chinchilla food should list a protein level between 16-20%. The protein level should not exceed 20% as it will result in mushy droppings and gastrointestinal problems. The level of fiber is 15-16% and can range up to 30%. The recommended level of fat should be between 2-5%. Chinchilla pellets should be alfalfa-based and have extra vitamins and minerals added for a complete and balanced diet. Like with other small animals, the food they're fed should be specie-specific in order to ensure a nutritional diet. Feeding a chinchilla guinea pig or rabbit food could cause dietary upset. Some chinchillas are picky eaters, so it's important to advise your customers to keep an eye on how their pets are eating. If your customers find that their pets are picking and choosing what they eat in their mixes, they should consider a mono-component diet. The key to offering a full selection of small animal food is to offer pet food that fall into the good, better, best categories and having a strong merchandising strategy. 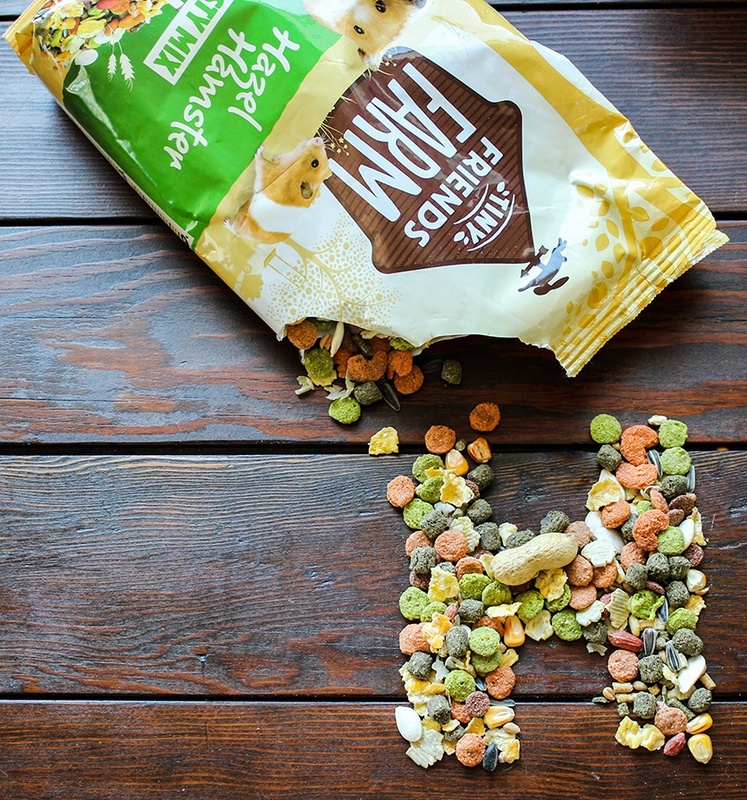 As you can see, "good" quality foods often have a few controversial ingredients but can be worth displaying because they offer your customer an inexpensive option to feed their pet. The "better" quality foods give your customers a higher quality food, without sacrificing price. However, the "best" quality foods will offer pets the best nutritional value - although it will come at a cost to your customer. In a recent article discussing How to Rock the Small Animal Category, we explain how a strong merchandising strategy benefits pet stores with small animal categories. We discussed how the good, better, best strategy creates windows and doors that deliver navigation hotspots. These will help shoppers quickly find what they want. Supreme Petfoods' Tiny Friends Farm's new packaging has been especially designed to create these doors and windows within the aisle. The bright yellow is easy to spot from far away, and the associated color with each animal type is a quick and efficient way for consumers to instantly recognize where their specific animal's section starts and ends. What does a good, better, best merchandising strategy look like in the small animal aisle? Request some assistance with your merchandising strategy below. You'll receive a free white paper and find out a little bit more about how you can easily apply this method to your own pet supply store. Want to receive more pet industry insight? Sign up to receive our newsletter! Ashley Hoffman – E-Commerce & Digital Marketing Manager joined the All Points family in April of 2015. Ashley brings a fresh outlook to the marketing industry as well as a constant desire for learning something new. She is dedicated to consistently improving her skills and efficiency in the marketing industry and using those skills to promote APM and all brands we represent. Ashley is a millennial pet owner herself, and is currently the loving owner of two cats. Click here for more information about the All Points family.